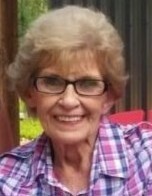 Brenda Collins, 74 of Paris, TN, died Thursday, April 4, 2019, at her residence in Paris, TN. She worked for New Harmony Baptist Church in Springville and was a member of Grace Baptist Church in Paris. Brenda loved going to church, enjoyed gardening, flowers, and shopping. She loved spending time with her grandchildren. Brenda was born February 9, 1945, in Williams, WV, to the late Elwood Percy Smith and the late Beatrice Lemon Smith. She is survived by one daughter, Susan Knox of Paris, TN; two sisters, Barbara Chaney of Ohio, and Nancy Schultz of Ohio; one brother, Roger Smith of Springville, TN; a brother-in-law who was like a brother, Rick Kuntz; three grandchildren, Dustin (Brittany) Archer of Paris, TN, Jacob (Stephanie Rushing) Knox of Springville, TN, and Zane Carter of Paris, TN; one great grandchild, Mason Archer; and special friends, Tammy & Marty Patterson, Wanda Costa, Edna & Jack Thacker, Timmy & Lisa Miles, and Lynn & Janet Banks. In addition to her parents, she was also preceded in death by one son, William “Bill” “Pop” Popovich; two sisters, Alice Kuntz and Emily Hamer; and three brothers, Daniel Smith, Wallace Smith, and Buster Smith. Arrangements will be handled by Ridgeway Funeral Home, 201 Dunlap St., Paris, TN, 38242. Visitation will be Sunday, April 7, 2019, from 12:00 pm – 2:00 pm at Ridgeway Funeral Home, with the funeral service to begin at 2:00 p.m. at LeDon Chapel of Ridgeway Funeral Home, with Jack Thacker officiating. Pallbearers will be Jamie Knox, Bryan Carter, Charlie Norwood, Kevin Miles, Timmy Miles, Lynn Banks, Jackie Knox, and Trey Vanderpool. Burial will be in Poplar Grove Cemetery in Springville, TN.